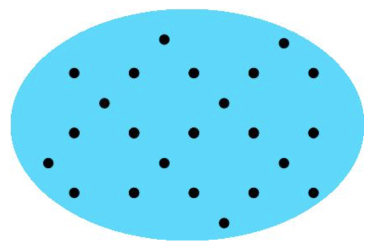 Find as many ways of representing the number of dots shown above. Try to find at least five ways. Now find ways of representing ten times as many dots. Can you still find at least five different ways?